Many of our patient's want to know what the latest advancements in joint replacement are, and if these options are available to them. Most of the advancements involve three areas: shoulder replacement, minimally invasive techniques, and pain control. Shoulder pain can be as disabling as knee or hip pain. Shoulders develop arthritis through the usual wear and tear of the cartilage. This is the same process that occurs in knees and hips. For those suffering from severe arthritis of the shoulder, the pain can be intense, particularly at night. The total shoulder replacement is a reliable method to decrease pain and increase function. For most people, it involves removing the equivalent of two tablespoons of bone and replacing those areas with metal and plastic. Most patients stay in the hospital for 1-2 days. Due to advances in surgical technique and pain management, many patients go home the same day. The rehabilitation following shoulder replacement is often easier than the rehabilitation following rotator cuff repair. A rotator cuff tear that was fixed but the repair didn't work. Patients who have continued pain or weakness after a shoulder surgery, particularly a rotator cuff repair, should be evaluated to see if the repair healed. Patients who have continued pain or weakness after a shoulder injury, should also be evaluated. Patients who have been told, "there is nothing further that can be done for your shoulder,” are sometimes candidates for the reverse total shoulder replacement. For those patients it can be a positive life altering option. What is involved with this procedure? In a traditional shoulder replacement the ball and socket are replaced. In a reverse total shoulder replacement, the ball and socket are still replaced. However, the ball is placed on the socket side, and the socket is placed on the ball side. Does that sound strange? Well, that's what most surgeons thought when it was first conceived and designed. Fortunately, it was developed, because prior to its introduction we did not have a solution for many of the most complex conditions that were causing pain and disability in the shoulder. Today the reverse total shoulder replacement is used for irreparable rotator cuff tears, failed rotator cuff repairs, complex fractures of the shoulder, shoulder malunions (fractured shoulders that healed with deformity), and arthritis associated with rotator cuff tears. We have been performing reverse total shoulder replacement in Arizona since 2006. We accept referrals from all over Arizona and other states for complex shoulder conditions including those that require reverse total shoulder replacement. Although it is not commonly referred to as minimally invasive surgery, arthroscopy is the original minimally invasive surgery. Therefore, arthroscopy is the preferred treatment for many conditions such as tears of the rotator cuff, labrum, and biceps. The result is faster recovery and improved outcomes. However, the term "minimally invasive" is most commonly used when referring to total joint replacement surgery. In the 2000's, shoulder, knee and hip replacement patients used to stay in the hospital for 5-7 days. Now, most patients stay a few days, and many total joint replacement patients can go home the same day. This is primarily a result of changes in the surgical techniques that result in less damage to the surrounding tissues. The total shoulder replacements have also benefitted from minimally invasive techniques. Again, these techniques have little to do with the incision size. Rather, they have to do with minimizing the amount of disruption the surgery does to the surrounding muscles and ligaments. This results in a more rapid return to activities. We continue to keep a close watch on advancements in surgical techniques and implants. We strongly believe that there is a balance between new and established technology. New technology must be equal to, or better than what we currently use. With all new technology, the hope is that we can improve our current techniques. Shoulder replacement surgeries have been some of the most successful surgeries in all of medicine. However, in the effort to improve those surgeries, there is always the potential that new techniques will result in outcomes that are not as good as what can be achieved with proven techniques. This is why academic studies that objectively evaluate new technologies and techniques are required. At the Evangelista Orthopedic Clinic, we strongly support the scientific process. Without it, there wouldn't be any advances. However, in our practice, we feel that it is important that the techniques and implants we use have an established track record. That means we like to see that they have been used successfully, without any new or increased incidence of complications, for years. We will consider the use a new technique or device if there is a clear benefit with little or no patient risk. Partial Shoulder Replacements or Resurfacing have been around for some time. In a traditional total shoulder replacement both the ball (humerus) and socket (glenoid) are replaced. During a partial shoulder replacement the humerus (ball) is replaced. During a resurfacing, a cap is placed on the humerus (ball). The glenoid (socket) is never replaced by itself. It has been proposed that doing a partial shoulder replacement requires a less invasive approach, has a faster recovery time, and results in an easier revision (repeat replacement) because less bone was removed during the first surgery. As discussed above, it is important to understand what minimally invasive means in orthopedic surgery. The incision for a partial shoulder replacement is roughly the same as for a total shoulder replacement. As stated above, minimally invasive doesn't refer to the size of the incision, but rather to how much damage the surgery does on the inside. Every surgery we perform is minimally invasive because we focus on doing as little damage as possible during our surgery. We take great care to handle the surrounding tissues with the least amount of disruption possible. When compared to the total shoulder replacement, the partial replacement does require slightly less dissection. However, in our experience, patients do not experience more pain or have a slower rehabilitation process because they had a total shoulder replacement. In fact, if anything, they have a faster recovery because the socket is no longer painful. During a total shoulder replacement a minimal amount of bone is removed. Therefore, we don’t feel this argument has any merit. Rather than do an operation with the mindset that it will be easier to fix it when it fails, we prefer to do the operation with the best results that has the best chance for long-term success. Taking the above into consideration, we do believe partial shoulder replacement is appropriate in certain patients. For example, young active patients who have a severe cartilage problem or a fracture that affects only the humerus (ball), may be candidates for a partial shoulder replacement. We believe the results of resurfacing (placing a cap on the ball) have not been as predictable as a replacement. Similar to partial shoulder replacement, there is a select group of patients who may benefit from a resurfacing. In summary, every patient is unique. We take many factors into consideration when not only deciding if to perform surgery, but what surgery to choose. Our preference is to perform the operation with the best results. In most patients with shoulder arthritis, that operation is a total shoulder replacement. Many patients have questions about the type of implants used or the manufacturer. Like all big businesses, competition among the manufacturers has resulted in large marketing campaigns. Most commercials have focused on the knees and hips because more knee and hip replacements are performed each year. There are reports of improved motion, gender specific devices, as well as other claims. The truth is that all of the major manufacturers have great products. Furthermore, although there are some differences, they all provide implants that have good long-term results. They all can achieve excellent range of motion. Now, most of the manufacturers have many sizes to choose from. It is the different sizes that are most important, not whether they are labeled male or female. We have experience with all of the major manufacturers. We do not have any consulting agreements with the joint replacement companies and we do not receive any royalties. We use the implants we use because we feel they give our patients the best results. 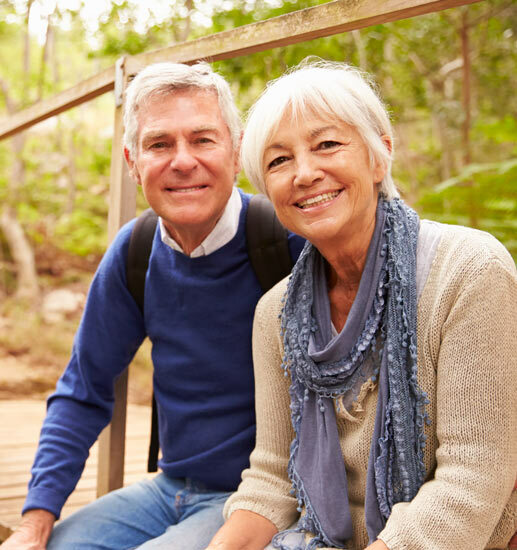 If you are having a joint replacement, we recommend you choose a surgeon based on whatever criteria are important to you, but we don't think that criteria should include whether they use a particular company or product. Any discussion about joint replacement must include pain control. All of the joint replacements (total shoulder replacement, reverse total shoulder replacement, total knee replacement, total hip replacement) have benefitted from advances in pain control. As discussed above, minimally invasive surgery refers to the handling of the deeper tissues in the body. With less damage to surrounding tissues, the pain is decreased and recovery is faster. The other portion involves the things we can do before, during, or after surgery to decrease pain and speed recovery. In the following section, we include a brief discussion about anesthesia because we feel it is a critical and often overlooked component in surgery. Anesthesia has evolved from a time when it was enough to put the patient asleep for a procedure and then wake them up. Today, anesthesia is much more complex. In addition, orthopedic surgery is unique, and the skills required of the anesthesiologist are different than some of the other surgical specialties. The combination of various oral and topical medications also decreases the pain following surgery. Oral medications account for many of the undesired effects following surgery (sedation, nausea, constipation). However, by using multiple oral medications (anti-inflammatory, muscle relaxer, narcotic) and topical medications, we can decrease those undesired effects. In our opinion, the use of special anesthesiologists, nerve blocks, Exparel™, and different combinations of oral and topical medications, has fundamentally changed joint replacement surgery. With less pain, patients begin working with a physical therapist the day of surgery. We expect all of our patients to walk the day of surgery. We believe this decreases the risk of complications and makes the transition home easier. Patients no longer need to stay in the hospital more than a few days. Some patients will choose to go home the same day.